Prepare for surgery and speed recovery. Decrease the need for pain medications. Block out operating room noise. 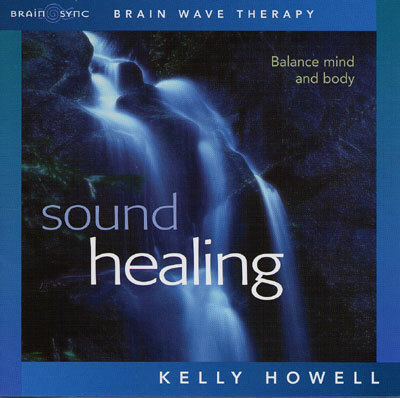 Support physical healing with this deeply soothing Sound Healing program. Sound Healing delivers Delta waves associated with the release of human growth hormone, beneficial for healing combined with meditation music. You can also use this program as a sleep aid to relieve insomnia. Enjoy the delightful floating sensation you'll experience as you literally lighten up in mind, body and spirit. This program is completely free of spoken words and provides 60 minutes of meditation music, making it ideal for self-hypnosis, resting deeply, or practicing your own healing visualization techniques. If you are preparing for a medical or dental procedure, listen to Sound Healing before, during, and after surgery to aid in recovery. Research reveals that relaxation significantly enhances the outcome of medical procedures. Recovery is often swifter: blood loss is reduced, less pain is perceived, and fewer analgesics are needed. Moreover, the immune system seems to respond better, and hospital stays can be shortened.